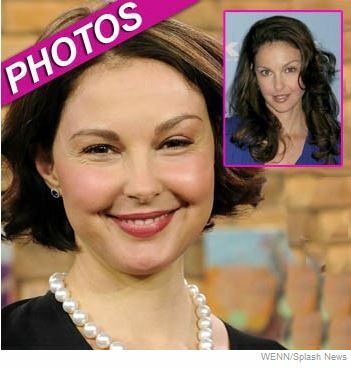 In this most eloquent piece, Ashley Judd addresses the media flurry caused by her “puffy” appearance last month. The gossipers lynched her for being on steroids, having plastic surgery, getting older or gaining weight, sometimes a variation of two or more of these. “We won’t even address how extraordinary it is that a size eight would be heckled as ‘fat,'” she says. She rightfully calls out picking apart women’s bodies for its inherent misogyny. Ironically, she points out, women are largely the ones doing the picking apart. And if you think it’s hogwash, consider that Liz Raftery wrote about it for People, Debbie Emery represented for Radar Online, perennial favourite Ariana Finlayson was on top of it for Us Magazine, and Cara Harrington covered it for Hollywood Dame. Judd asks, “Why was a puffy face cause for such a conversation in the first place? How, and why, did people participate?” I wonder how the media would respond. I bet they simply won’t. But that doesn’t mean you shouldn’t.